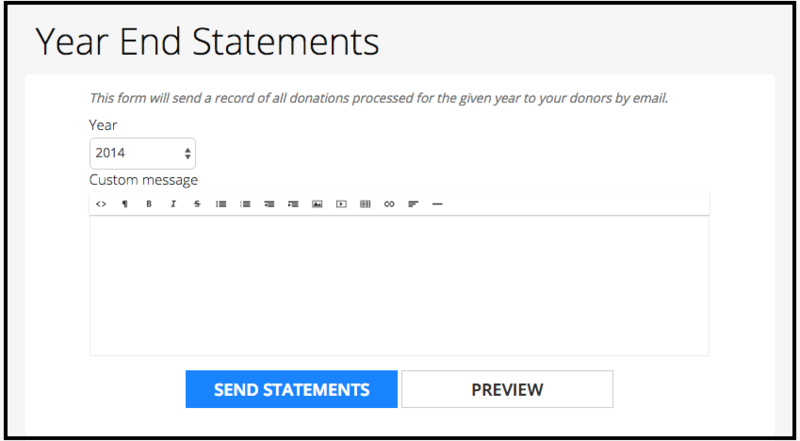 You can use this awesome feature to send a year-end statement to all of your donors for any given year. It will tally all of their donations and send it out in one clean email. First, select the year you wish to send the year end statements to, then customize the text for the body of your email.